"While it is our loss that we will never know Beam Piper as a man, or read what he might have written had his life not come to such an abrupt end, it is our consolation that we can come to know and treasure him through his novels and stories." 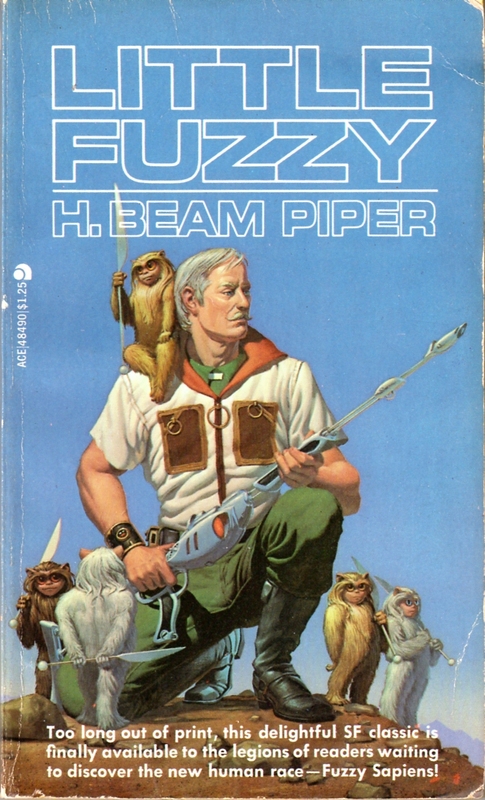 Little Fuzzy , Ace 1976, cover illustration by Michael Whelan. H. Beam Piper's "History of the Future" is a series of linked science-fiction novels and stories published between 1952 and 1964 which chart an imagined future of human civilization from the first days of space exploration, through the expansion of humans from Terra (Earth) into interstellar space, to an era when Terra is a glaciated backwater of interstellar empire. The Terro-human Future History includes eight short stories (first collected in Federation and Empire ) as well as Piper's novels Four-Day Planet , Uller Uprising , Little Fuzzy and its sequels Fuzzy Sapiens (originally published as The Other Human Race ) and Fuzzies and Other People , Junkyard Planet (reissued as The Cosmic Computer ), and Space Viking . The Terro-human Future History section includes a bibliography of Future History works, a gallery of related illustrations, a chronology of the Future History, a concordance of details from the Future History setting, and authorized and informal further development of Piper's setting. Lord Kalvan of Otherwhen , Ace 1976, cover illustration by Michael Whelan. Piper's science-fiction yarns of alternate, parallel universes patrolled by the cross-time-traveling Paratime Police were published between 1948 and 1965. 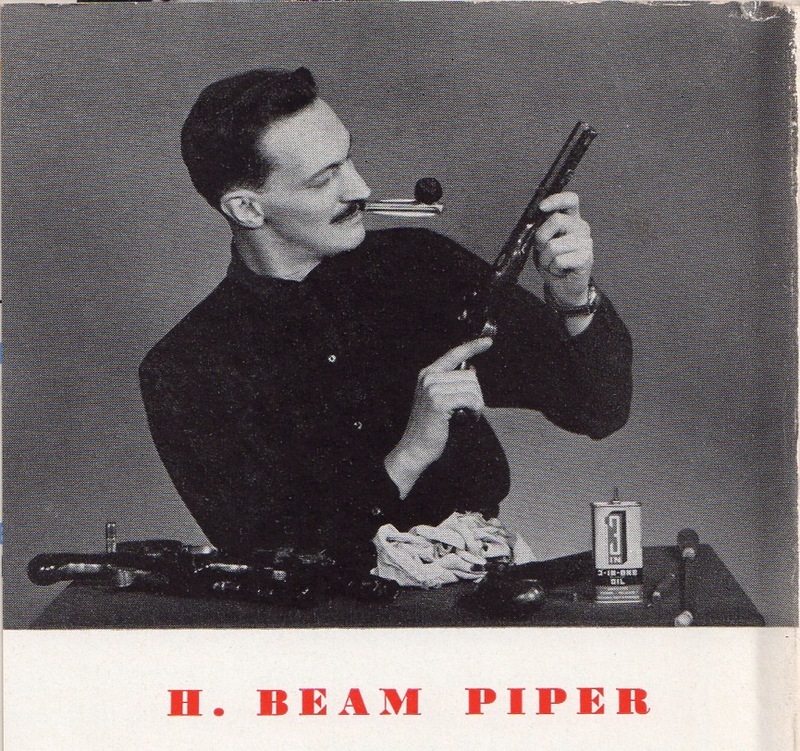 Piper wrote seven Paratime stories; the last two to be published, "Gunpowder God" (in Analog, November 1964 ) and "Down Styphon!" 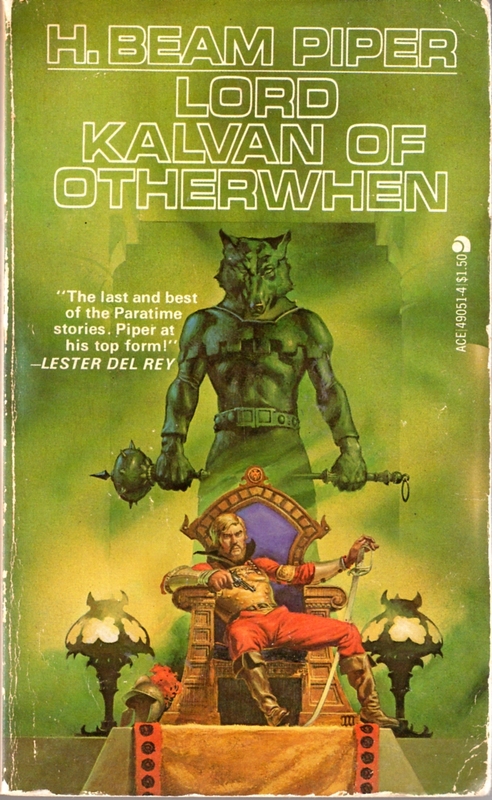 (in Analog, November 1965 ), were combined and expanded into the novel Lord Kalvan of Otherwhen , published shortly after Piper's death (the others were subsequently collected in Paratime ). The Paratime section includes a bibliography of Paratime works, a gallery of related illustrations, a concordance of details from the Paratime setting, a chronography of Paratime, and authorized and informal further development of Piper's setting. 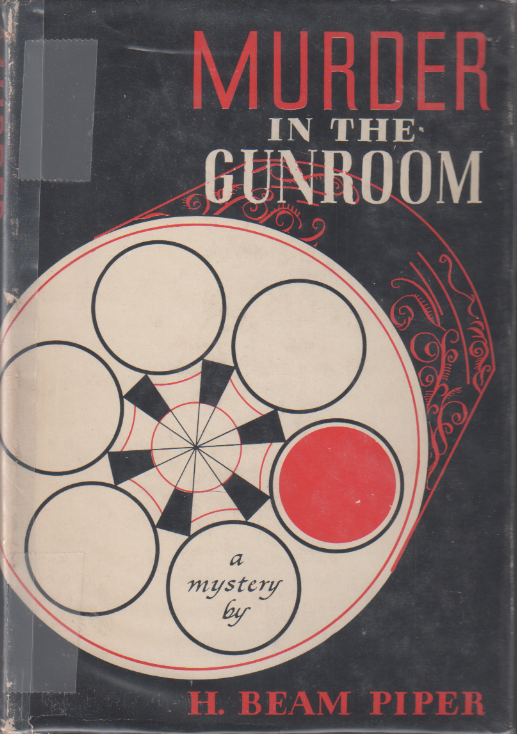 Murder in the Gunroom , Knopf 1953, dust jacket illustration by Georgianna Schiffmacher. In addition to his Future History and Paratime works, Piper published other speculative fiction, historical fiction, mystery fiction, and non-fiction. Beginning with his first non-fiction publication in 1927, these other works include eleven short stories (subsequently collected in The Worlds of H. Beam Piper ), Piper's mystery novel Murder in the Gunroom , and the science-fiction novels Null-ABC (reissued as Crisis in 2140 ) and Lone Star Planet (reissued as A Planet for Texans ) co-authored with Piper's friend and occasional collaborator John. J. McGuire. This section includes a bibliography of other works by Piper, a gallery of related illustrations, a concordance of details from these other settings, and further development of the settings. Piper photograph from interior dust jacket of Murder in the Gunroom , Knopf 1953. This section includes biographical information and photographs of Piper, a complete bibliography of his original publications, his collaborations with other authors (including posthumous contributions to his work), fan contributions inspired by Piper's work, a catalogue of Piper items in the Zarthani.net collection and reviews of Piper's works. "Their ancestors had been living on the Atlantic coast for over five hundred years; they all spoke the same language, and were of the same stock: Zarthani. They hadn't come from across the Atlantic, but from the west, across the continent."